Our aim at Power Tools Direct is to provide you with top quality products, at trade prices, straight to your door, hassle free. Try our service and if you're not happy call us and we'll make sure that you are! Your Status By placing an order through our site, you warrant that: You are legally capable of entering into binding contracts; and You are at least 18 years of age. Payment Visa Credit, Visa Debit, Visa Electron, Maestro and Mastercard are accepted as methods of payment. All transactions are in pounds sterling. Delivery In most cases the delivery service on orders received prior to 12:00 noon for delivery to addresses in Mainland UK is that the goods will be delivered within 2-3 days (i.e. If you place your order before 12:00 noon on Monday your goods will be delivered by Thursday). In many cases this will actually be much quicker, some items being delivered on a next day service. Zarges Ladders will be delivered on a 2-3 working day service, direct from Zarges. When placing your order for Zarges products you will contacted by Zarges to arrange delivery. Britool and Facom large tool chests are delivered direct from the manufacturer in France on a 3-5 day service and a tracking code with exact date of delivery cannot always be provided. Bahco Tool Chests are delivered direct from Bahco in an articulated lorry and hence must be shipped to a business address. Most deliveries are carried out by Royal Mail or City Link and as soon as the goods are dispatched, we will notify you and send you the Royal Mail or City Link tracking code. This will enable you to track the whereabouts of your delivery using the "Quick Proof of Delivery" facility on the City Link website www.city-link.co.uk or the Royal Mail tracking system Unavailability In the event that a product is unavailable for whatever reason, we will contact you to ask you whether you would like us to supply a suitable alternative product. We will not supply you with an alternative product unless we receive instruction from you that you wish us to do so. If you opt not to purchase an alternative product, we will refund the full value of the product. Risk and Title The Products will be at your risk from the time of delivery. Ownership of the Products will only pass to you when we receive full payment of all sums due in respect of the Products, including delivery charges. Pricing All prices quoted include the inclusive of Vat price. The only possible additional charge above the price quoted for the item is the carriage charge. 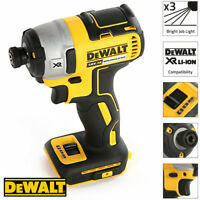 The Vat element of each purchase is clearly detailed on the Power Tools Direct invoice. Our site contains a large number of Products and it is always possible that, despite our best efforts, some of the Products listed on our site may be incorrectly priced. We will normally verify prices as part of our dispatch procedures so that, where a Product's correct price is less than our stated price, we will charge the lower amount when dispatching the Product to you. If a Product's correct price is higher than the price stated on our site, we will normally, at our discretion, either contact you for instructions before dispatching the Product, or reject your order and notify you of such rejection. We are under no obligation to provide the Product to you at the incorrect (lower) price, even after we have sent you a Dispatch Confirmation, if the pricing error is obvious and unmistakeable and could have reasonably been recognised by you as a mis-pricing. 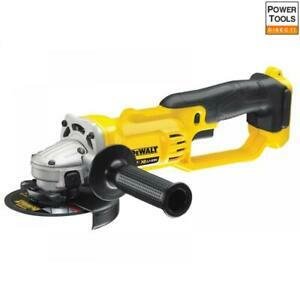 Guarantees Power Tools Direct take great care to ensure that all the products featured on this website are of a high quality. As part of our commitment to quality we provide 1 year's guarantee on all Hand Tool products on this website provided that they have been used, at all times, in the correct manner. However in many cases, due to the exceptional quality of the products, the manufacturers will give much longer guarantees on their products. As far as Power Tools are concerned Power Tools Direct follows the manufacturer's policy, details of which will be included with the product. If a product is faulty and under guarantee you should follow the procedures detailed below. Cooling Off Period You may, if you wish, cancel your order for any reason within 7 days starting on the day after you receive the goods. To do this you will need to notify us either in writing or by contacting us by phone that you wish to do this, specifying the order number of the order to be cancelled. If you do this we may ask you to pay the cost of returning the goods to us but, apart from this, the whole of your money will be returned to you within 28 days of such cancellation. 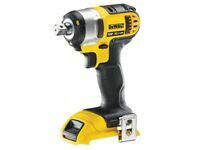 Returns & Refunds : Items not required At Power Tools Direct we aim to provide you with as much information as possible about each of our products so that you can make an informed purchasing decision. However, to give you additional confidence, we will allow you to return any item if it is not what you require within 28 days of receipt as long as it has not been used and is returned in its original undamaged packaging. All you need to do is to return the item to our contact address with a brief note detailing: - the order number for the item your - contact details (phone number and email address) - an explanation of your reason for return Upon receipt of the item(s) we will refund the full value of the item(s) subject to them being unused and in their original condition and packaging. Unless otherwise agreed, you will be responsible for the costs for returning the goods to us. Unfortunately we cannot accept proof of posting as confirmation of delivery. Faulty, Incorrectly Supplied and Damaged Items If an item has been incorrectly supplied, received damaged or is faulty then all you need to do is follow the Returns & Refunds Procedure detailed above. Then if you contact us we will arrange collection of the item(s) free of charge. Upon receipt of the item(s) we will refund the full value of the goods and any carriage costs associated with the error within 28 days. Import Duty If you order Products from our site for delivery outside the UK, they may be subject to import duties and taxes which are levied when the delivery reaches the specified destination. You will be responsible for payment of any such import duties and taxes. Please note that we have no control over these charges and cannot predict their amount. Please contact your local customs office for further information before placing your order. Please also note that you must comply with all applicable laws and regulation for the country for which the Products are destined. We will not be liable for any breach by you of any such laws. Written communications Applicable laws require that some of the information or communications we send to you should be in writing. When using our site, you accept that communication with us will be mainly electronic. We will contact you by e-mail or provide you with information by posting notices on our website. For contractual purposes, you agree to this electronic means of communication and you acknowledge that all contracts, notices, information and other communications that we provide to you electronically comply with any legal requirements that such communications should be in writing. This condition does not affect your statutory rights. Notices All notices given by you to us must be given to the postal address detailed in the Contact Us page of the site . We may give notice to you at either the email or postal address you provide to us when placing an order, or in any other of the ways specified in the previous paragraph under the heading 'Written communications'. Notice will be deemed received and properly served immediately when posted on our website, 24 hours after an e-mail is sent, or three days after the date of posting of any letter. In proving the service of any notice, it will be sufficient to prove, in the case of a letter, that such letter was properly addressed, stamped and placed in the post and, in the case of an e-mail, that such e-mail was sent to the specified e-mail address of the addressee. Transfer of rights and obligations The contract between you and us is binding on you and us and on our respective successors and assigns. You may not transfer, assign, charge or otherwise dispose of a Contract, or any of your rights or obligations arising under it, without our prior written consent. We may transfer, assign, charge, sub-contract or otherwise dispose of a Contract, or any of our rights or obligations arising under it, at any time during the term of the Contract. Events outside our control We will not be liable or responsible for any failure to perform, or delay in performance of, any of our obligations under a Contract that is caused by events outside our reasonable control 'Force Majeure' Event. A Force Majeure Event includes any act, event, non-happening, omission or accident beyond our reasonable control and includes in particular (without limitation) the following Strikes, lock-outs or other industrial action Civil commotion, riot, invasion, terrorist attack or threat of terrorist attack, war (whether declared or not) or threat or preparation for war Fire, explosion, storm, flood, earthquake, subsidence, epidemic or other natural disaster Impossibility of the use of railways, shipping, aircraft, motor transport or other means of public or private transport. Impossibility of the use of public or private telecommunications networks. The acts, decrees, legislation, regulations or restrictions of any government. Our performance under any Contract is deemed to be suspended for the period that the Force Majeure Event continues, and we will have an extension of time for performance for the duration of that period. We will use our reasonable endeavours to bring the Force Majeure Event to a close or to find a solution by which our obligations under the Contract may be performed despite the Force Majeure Event. Waiver If we fail, at any time during the term of a Contract, to insist upon strict performance of any of your obligations under the Contract or any of these terms and conditions, or if we fail to exercise any of the rights or remedies to which we are entitled under the Contract, this shall not constitute a waiver of such rights or remedies and shall not relieve you from compliance with such obligations. A waiver by us of any default shall not constitute a waiver of any subsequent default. No waiver by us of any of these terms and conditions shall be effective unless it is expressly stated to be a waiver and is communicated to you in writing in accordance with these terms and conditions. Severability If any of these terms and Conditions or any provisions of a Contract are determined by any competent authority to be invalid, unlawful or unenforceable to any extent, such term, condition or provision will to that extent be severed from the remaining terms, conditions and provisions which will continue to be valid to the fullest extent permitted by law. Entire agreement We intend to rely upon these terms and conditions and any document expressly referred to in them in relation to the subject matter of any Contract. While we accept responsibility for statements and representations made by our duly authorised agents, please make sure you ask for any variations from these terms and conditions to be confirmed in writing. Our right to vary these terms and conditions We have the right to revise and amend these terms and conditions from time to time to reflect changes in market conditions affecting our business, changes in technology, changes in payment methods, changes in relevant laws and regulatory requirements and changes in our system's capabilities or any other changes. You will be subject to the policies and terms and conditions in force at the time that you order products from us, unless any change to those policies or these terms and conditions is required to be made by law or governmental authority (in which case it will apply to orders previously placed by you), or if we notify you of the change to those policies or these terms and conditions before we send you the Dispatch Confirmation (in which case we have the right to assume that you have accepted the change to the terms and conditions, unless you notify us to the contrary within seven working days of receipt by you of the Products). 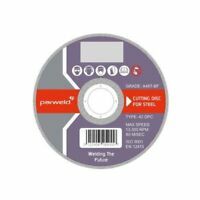 Contract Information and Governing Law A Contract is formed between you and Power Tools Direct Online Ltd only when you have received confirmation that your order has been dispatched and you are notified of the order number on the screen and by E-Mail. For the avoidance of doubt the Contract will be deemed to have been concluded in the United Kingdom and shall be governed by and construed in accordance with English Law and you and Power Tools Direct Online Ltd will agree to submit to the non-exclusive jurisdiction of the English Courts. The contract between you and us will be conducted in English. Copyright All of the design of this website, its graphics, text, the arrangement and selection thereof, and all software and compilations of software, source codes, and all other components of or material comprised in or on this website are the copyright of Power Tools Direct Online Ltd or their designers and content and technology providers. All Rights Reserved. Disclaimer Whilst great care has been taken to ensure that the information on this website is accurate, information as to price may be subject to change without notice. Without in any way reducing or affecting you statutory rights, Power Tools Direct Online Ltd makes no representations or warranties either that the information in or accessible via this website is accurate, complete or current, nor of any other kind, express or implied, with respect to this website or the products, information, materials or content including, without limitation, warranties of merchantability and/or fitness of any product for a particular purpose. Our Liability A) We warrant to you that any Product purchased from us through our site is of satisfactory quality and reasonably fit for all the purposes for which products of the kind are commonly supplied. B) Our liability for losses you suffer as a result of us breaking this agreement is strictly limited to the purchase price of the Product you purchased and any losses which are a foreseeable consequence of us breaking the agreement. Losses are foreseeable where they could be contemplated by you and us at the time your order is accepted by us. C) This does not include or limit in any way our liability: a) For death or personal injury caused by our negligence; b) Under section 2(3) of the Consumer Protection Act 1987; c) For fraud or fraudulent misrepresentation; or d) For any matter for which it would be illegal for us to exclude, or attempt to exclude, our liability, D) We are not responsible for indirect losses which happen as a side effect of the main loss or damage and which are not foreseeable by you and us, including but not limited to: a) loss of income or revenue b) loss of business c) loss of profits or contracts d) loss of anticipated savings e) loss of data, or f) waste of management or office time however arising and whether caused by tort (including negligence), breach of contract or otherwise even if foreseeable]; provided that this clause D shall not prevent claims for loss of or damage to your tangible property that fall within the terms of clause A or clause B or any other claims for direct financial loss that are not excluded by any of categories (a) to (f) inclusive of this clause D. Statutory Rights Your Statutory Rights are unaffected by anything appearing in these terms and conditions. Se requiere el pago inmediato de GBP 133,99.